For any company to run successfully, employees need clear roles and responsibilities within the organizational structure. After all, one employee cannot be expected to do everything by himself/herself; and neither is it useful to have people stepping on each other’s toes in getting things done. In order to ensure that everything is done promptly and efficiently, it is helpful if employees focus on his/her personal work scope. Regular employees do not need to trouble themselves overly about issues in managing projects, while the project managers should not be micro-managing the specific tasks of employees on those projects. When managing your timesheet system, it is important that your timesheet product is able to reflect this organizational hierarchy. This way, employees will be able to focus on completing their timesheet duties without having to be bogged down by features that fall outside their personal work scope. One great way of doing this is by managing access permissions, the #6 item in our list of most requested “must have” timesheet features. Why do I need to manage access permissions? Timesheet systems are often loaded with tons of features – built-in invoicing, report builders, accounting integration, etc. The only problem with all these features is that the system can be extremely difficult to navigate. One way of avoiding this problem is by limiting access to unnecessary features. For example, regular employees will not need access to report or invoicing features; by removing these unnecessary features, the system becomes more streamlined and well-suited to the employees’ personal work scope. Another advantage of managing access permissions is that sensitive information can also be controlled. Every company possesses some form of sensitive information – payroll information, secret projects or even company finances; all these need to be kept within a select group of people and not be readily available to everyone. Such information could have devastating effects if released to your employees or worse still, your competitors! By managing access permission, the risk of leaking sensitive information from your timesheet system is minimized. Other reasons why you will want to manage access permissions include preventing unwanted edits; and allowing appropriate client access and review of data on projects relating to them. For example, it is important to ensure that your employees are unable to view or make changes to the timesheets of other employees. That way, each employee can be held accountable for their own timesheets and employee billability can be accurately gauged from their timesheets. Being able to manage access restrictions also means you can allow clients to review their projects and relevant timesheets on an as-needed basis, without you having to prepare and send a report. 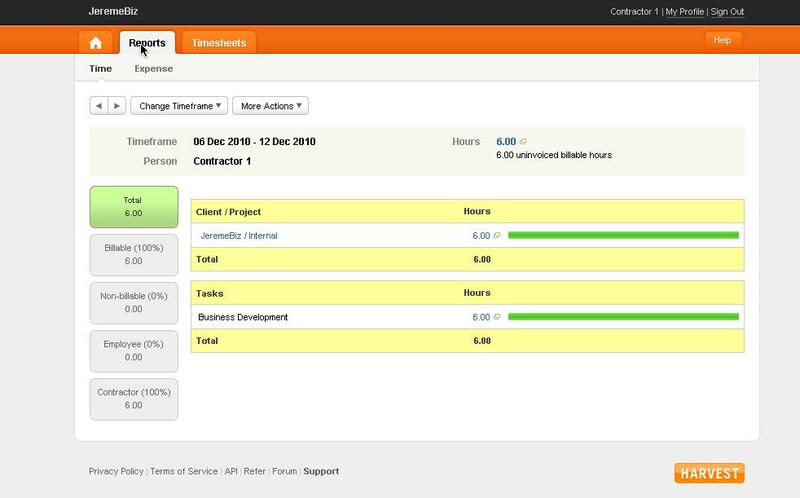 Clients can be allowed to only view projects and timesheets that concern them. This way, the client is able to know just how much time was spent on their project without being able to access the other project files in your company. How you manage the access permissions of your timesheet system will depend on your organizational structure. For instance, project managers can be permitted to review and approve timesheets submitted by the staff under them. Other managers could possibly be allowed to view the project details but not be granted approval or review permissions. Project staff may be restricted from viewing other people’s timesheets while reporting functions can also be restricted to managers and finance staff. Finally, clients may be able to look through relevant projects but not be granted edit permissions or access to other projects. What types of access permissions exist? Apart from the examples already listed above, other forms of sensitive information also exist. Timesheet products that offer access permissions as a feature usually group these into an “admin” package. This means that only accounts that have administrative permissions may view reports that display such information. On the other hand, ordinary “employee” accounts can only view information that concerns their personal work scope. This way, employees are still able to do their jobs well within the timesheet system while all sensitive information is kept hidden from them. Of course, as you can imagine, different timesheet products offer different ways of managing access permissions. The most common way of managing access permissions is through the accounts permissions method outlined above. However, other ways of managing access permissions include employee assignment and template assignment. Both these methods offer a more customizable approach to managing access restrictions. 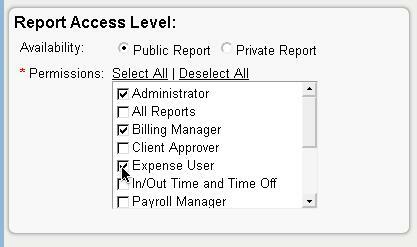 Employee assignment allows you to manually configure what sort of information/projects/reports that an individual is allowed to view. This is usually bundled together with accounts permissions to offer a more flexible way of managing access restrictions. For example, a web developer may be granted temporary access into marketing projects so that he can design websites to suit the company’s marketing strategies. Template assignment is basically a middle-ground between employee assignment and accounts permissions. This method involves creating “templates” that only include certain account types. This way, when projects or reports are created, only certain account types will be able to access them. For example, a special report can be created that can be viewed by both billing managers and expense managers so that employee billability can be gauged. In such cases, employees can be granted special access to special types of reports and projects that may involve elements outside of their job scope. This can be more efficient than individually setting employee access restrictions, especially if a large number of people are involved. What sorts of limitations exist with access permissions management? Depending on your preferred method of access permissions management, different timesheet products may work better for your company than others. Most timesheet products don’t only offer one type of access permissions management but solutions that incorporate elements from each of the three types. This way, it can be a little difficult to objectively compare between the solutions presented by different timesheet products. Also, because access permissions management is so subjective, what works for one company will not necessarily be relevant to another. Possible frustrations that companies may face with access permissions management would include: a lack of flexibility – for “accounts permissions”-centric solutions; too much manual work – for “employee assignment”-centric solutions; and a lack of specification – for “template assignment”-centric solutions. No matter what solution you eventually opt for, there will always be a drawback or trade-off that you will have to deal with. Managing a company or project goes far beyond simply telling people what to do. You also need to be able to ensure that your employees are able to focus at the task at hand without being distracted by unnecessary tasks that fall outside of their work scope. It is only by combining the individual work done by each employee on different aspects of a project that projects can be completed quickly and efficiently. Managing access permissions of your timesheet product is very useful in helping you achieve this effect. Of course, as seen from above, many methods can be employed to manage access permissions. Regardless of your choice, I hope this post has helped you gain a better understanding of what access permissions management means, the different ways of managing access permissions and the possible drawbacks of adopting certain solutions. Software Shortlist is currently counting down on a list of 13 “must have” timesheet features for prospective timesheet buyers as suggested by our search data so stay tuned for our upcoming reviews!